Manual Citrus Juicer – for commercial and home use, heavy duty. 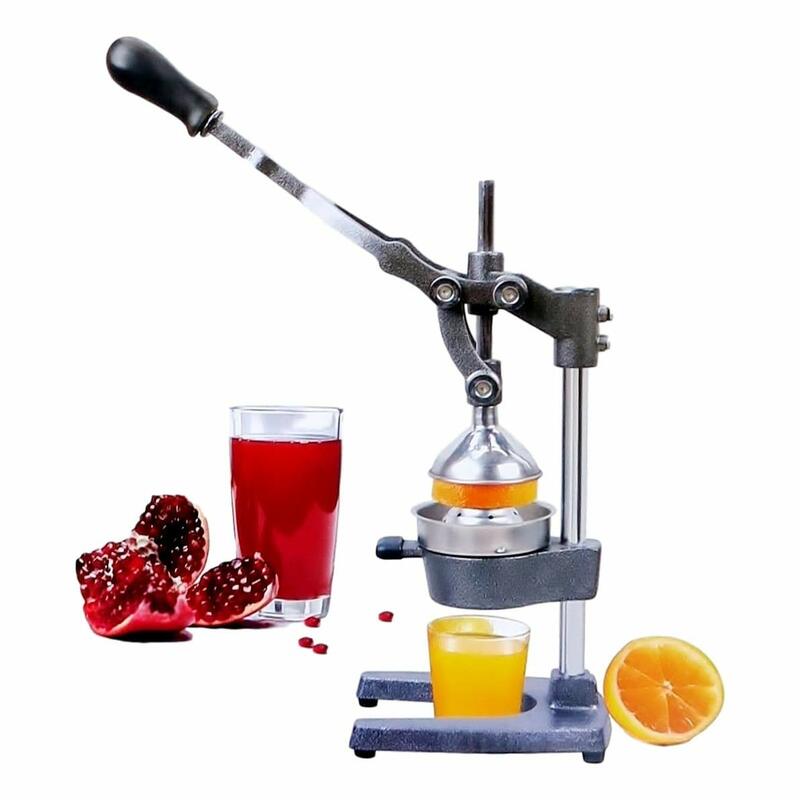 Fresh homemade juice without added flavors and sugar : Massive Hand Operated juicer is suitable for fruits like oranges , lemons etc. Great for home or restaurants, bars, super markets etc. The pressing parts are made of stainless steel (no aluminium!). Simple pull down mechanism squeezes every last drop of juice directly into your glass. A strainer set separates pulp and seeds. The juicer is designed in a such a way that by giving minimum effort you will get the maximum Juice. Practically only one squeeze away from healthy breakfast. The base of juicer is supported with rubber pads to give more stability during working. This juicer is recommend for household as well as commercial purpose as well. Simply cut the orange half and put it on the juicing cone. Lower the arm 2 or three times and get the healthy fresh juice. Strainer and funnel can be washed in the dishwasher and the stationary part can be cleaned by normal cotton. All pressing parts removable (for dish washer) and easy to clean. Save Money and electricity : Pretty handy to use with no need of electricity.